What do you think about your school? Post a picture of one thing you like in your school, and one you don't and comment. 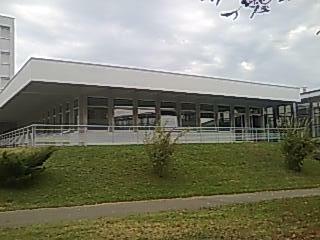 What think about my school...? This picture is one thing that I don't like. It's the school restaurant. 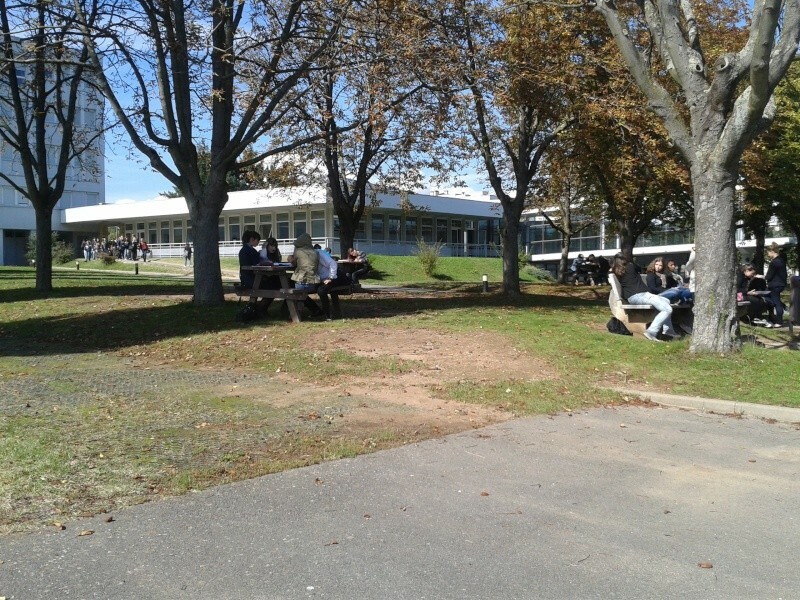 At every lunch, there is a lot of people, and the afternoon, we often start school at 1:00 pm. So we don't have much time to eat ( 1 hour) like a lot of students of my high school. We wait 40 minutes before eat, so we have just 10 minutes to have lunch. lot of people, so it’s a very long time, and it’s boring. 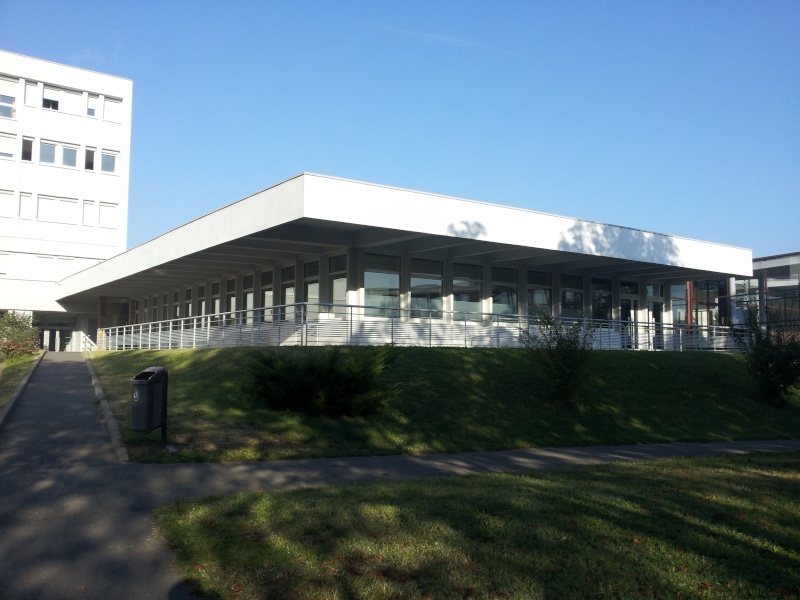 What do I think about my scool? I like this part because every morning we are sat on those seats. They are very comfortable and it makes us forget the school. Moreover, it's a part of a place reserved for students and it was created by students ! It's called " LA MAISON DES LYCÉENS "and I think it's a good idea like this students can feel weel because you can dissociate from the school. This is the part I dislike in my school. When the ringing rings and it's time to have lunch, a lot of students go here and it creates a long queu in e few minutes ! Some times, when you have only one hour to eat you wait fourty minutes and you have only fifteen minutes to have lunch ! Especially when there chips at the meal, someone run to be the first! One day we were late in a lesson beacause we were the last and we had only one hour ! 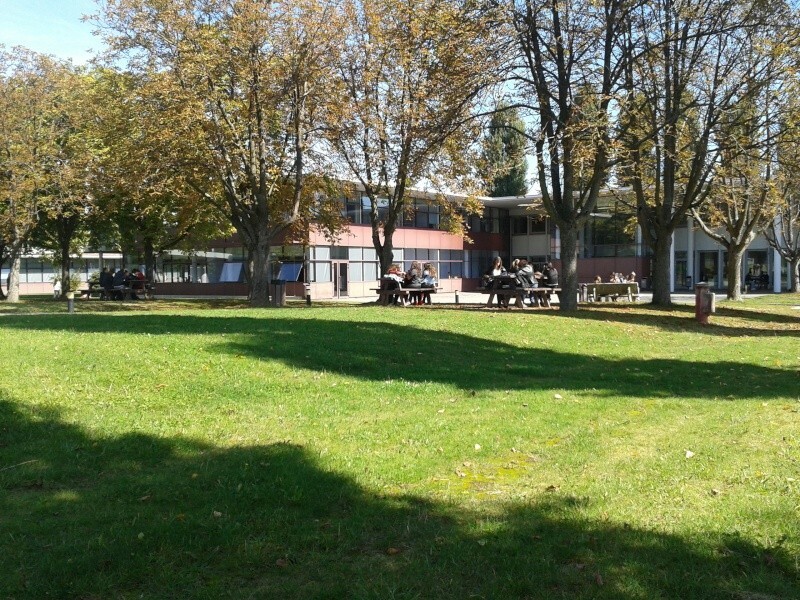 This is the parc of my school, I love this place because it's here that we meet us with my friends. We can do all things that we want, we can laugh,sit on a banch or eat pizza at the lunch time and have lot of fun. 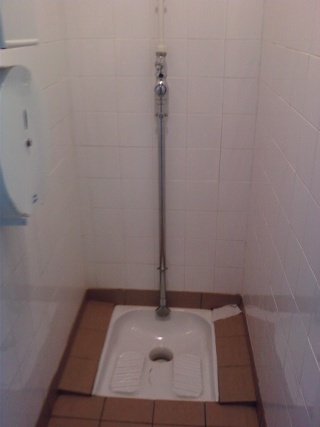 But in my high school, I don't like this kind of toilet (in France, we call them "Toilet Turkish"), it's not very convenient ! This photo represent a thing that I love ! It's the park whith a lot of trees, there are benches and tables where we can eat at midday, or where we can do homework when we have an hour or more sometimes. It's when we don't have class during the day. We often go with my class to the grass! And then, we speak : We enjoy that ! But.. A think that I dislike.. 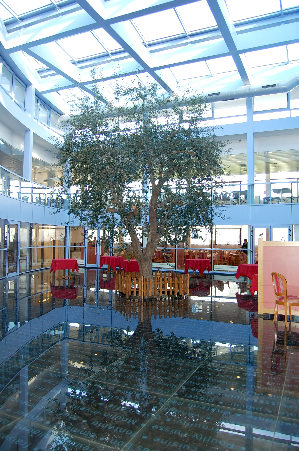 This photo represent the self-service restaurant. It's the place where we eat every lunchtime. 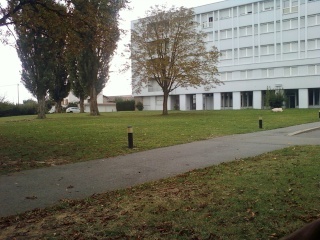 And every lunchtime, there is a lot of students who eat here.. That's why, we need 30 or 40 minutes to wait ! It's dificult because we haven't many time ! So, we sometimes go out to eat ! I hate this part of my hight school . When it's midday a lot of students have lunch in the self restaurant so there is a VERY VERY long queue. In general we wait 20 or 30 minutes just for eat, it's very boring It's like in an attraction park when you wait for riding a roller coaster but you don't felling the same on the queue. But I love this park. We can sit on benches, tables or on the floor for doing our homework or just for talking. We are outdoor so it's very good for our health LOL! I like the park because there is a lot of space. this park, where I sometimes eat. hurry to eat because we don't have time enough ! 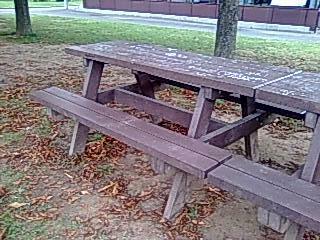 I like the tables in the park. We can sit here and talk or do our homework, or eat at lunchtime, that's cool ! outside to eat. So we don't have very much time to eat. → What I dislike is the canteen. It's too long to wait to enter in the canteen. It's very boring, but sometimes we play with our cellphone to get the time. Furthermore, we have sometimes only one hour to eat and it's void because we must eat quickly .. The part I dislike it's the restaurant of my school because I must wait lots of time before to eat and it's very boring ... :/, 30 or 40 minutes approximately ... so when we have only one hour to eat, We've got to hurry ! our canteen is the same, we line up for a long time to hardly get any time for lunch. some people push threw the line and sometimes we get treated to a fast pass which lets us go to lunch earlier!!! At our school we have a lot of litter so we as students have to clean up the mess left behind by others. we have been told to tell people who litter to pick it up! In my school, I like the hall because there are some shoals! When we are tired we can rest! And I love it:D! But I don't like the gymnasium. Not because it's bad but because it's far! When we did sport we are very tired and we must walk again... And as you know I prefer rest:D! 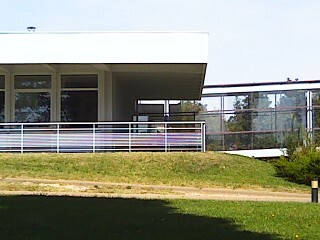 In my school, there is a place that I like : "le foyer des lycéens". This is a room with a lot of cushions and chairs and tables to stay when you don't have class. It's very nice. 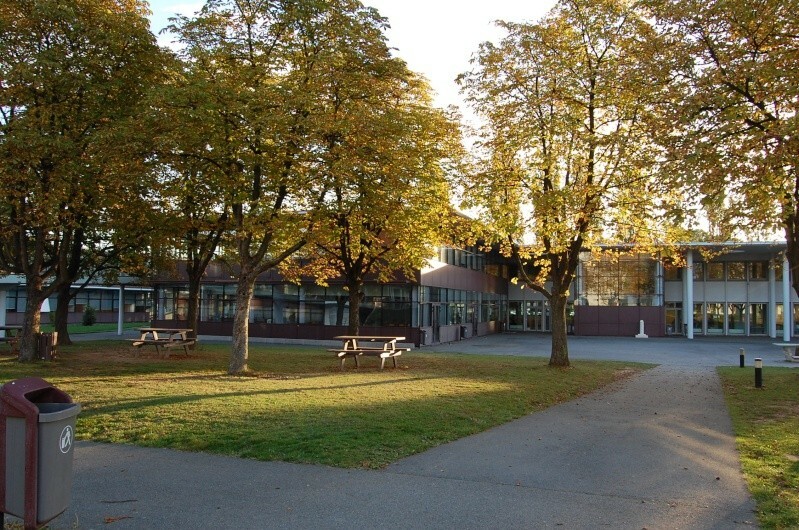 The place that I don't like in my school is the enter at the recreation, because there is a lot of people smoking and when you walk by there, you cross a cloud of smoke. It's really unpleasant. --> What I prefer in my school, is a place where you can sit and talk with friends, you can do your homework! 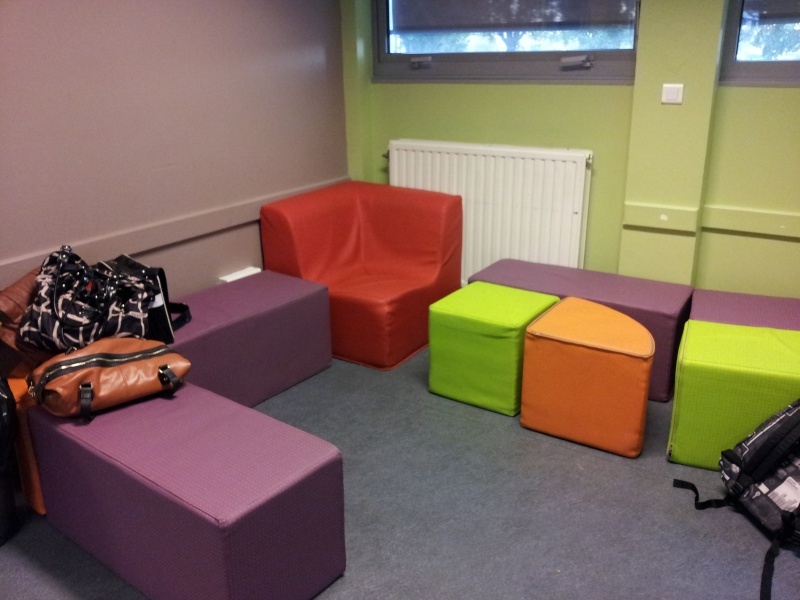 It is a very comfortable place called "le foyer des lycéens" ! 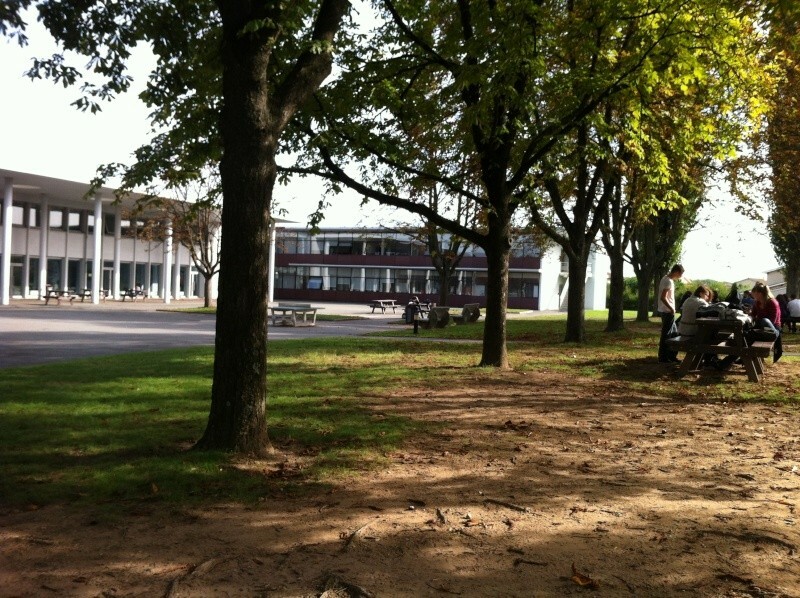 --> What I don't like in my school is the canteen.. We have to wait a lot of time before to have lunch! Sometimes 20, 30, or 40 minutes! And it is very boring to wait, stand up, with our heavy bags!